Infrastructure Company, Industrial and Logistic Park Burgas AD, Port Bulgaria West, TIC Burgas and BCCI Burgas. On behalf of the Pilot China (Shanghai) Zone, Mr. Li presented the flagship policies, good practices and know-how of the Shanghai Free Trade Area. 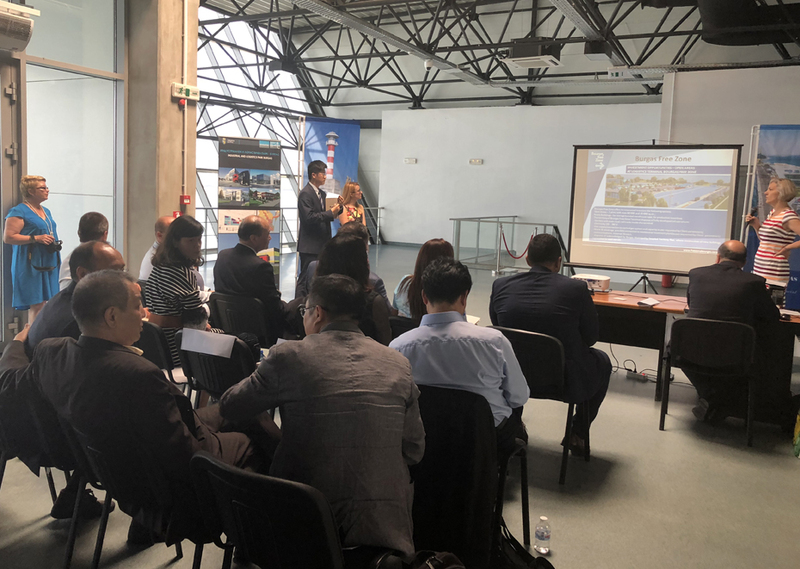 From Bulgarian side, presentations were made by Port Burgas EAD; BC Ports Infrastructure; BOURGAS FREE ZONE and Industrial and Logistic Park Bourgas AD. The opportunities for development of the project "16 + 1 Logistic hub and Pavilion for e-commerce with agricultural and other products" on the territory of Burgas as well as cooperation within the framework of the program "One Belt, One Way" of China Republic were also discussed.